A sleepy district in Hebei province has suddenly become the centre of China's latest property craze and the talk of the country. ​Recently, a new economic area was established by Chinese government to advance the coordinated development of the Beijing-Tianjin-Hebei region. ​​The breaking news of April 1st immediately drew wide support from locals and authorities alike, with many predicting that the new area would help to boost Hebei’s economy, as its GDP has ranked lower than those of other provincial regions in the past two years.​ But what arrived in the new area even faster than industrial investment was feverishly eager home-buyers. Less than 24 hours after the announcement, counties located within the new area began to see home-buyers flocking into the region, toting millions in cash in order to grab properties on land expected to be on the receiving end of national and even international investments. Under exploding market demands, housing prices within the new area have shot up from 4,000 RMB per square meter in 2015 to a current average of 15,000 RMB per square meter, with some high-end properties boasting per-square-meter prices of over 50,000 RMB, the Global Times reported, citing local real estate agents. The home-buying rampage not only affected counties within the new area, but also spread to areas beyond it. 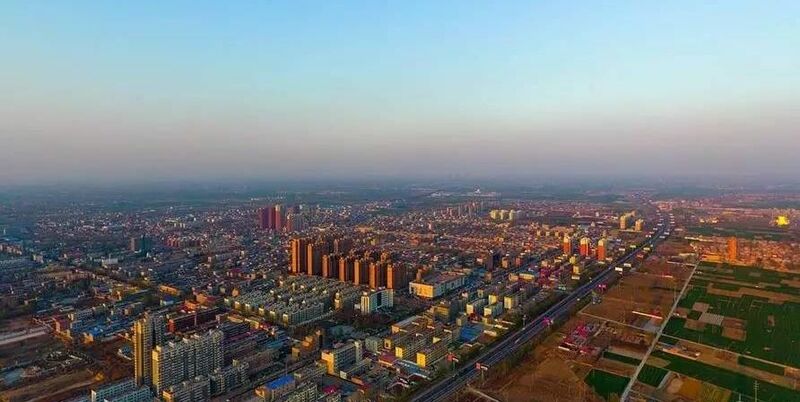 Housing prices in Baigou – some 20 kilometers away from Xiong'an New Area – doubled to 14,000 RMB per square meter overnight.